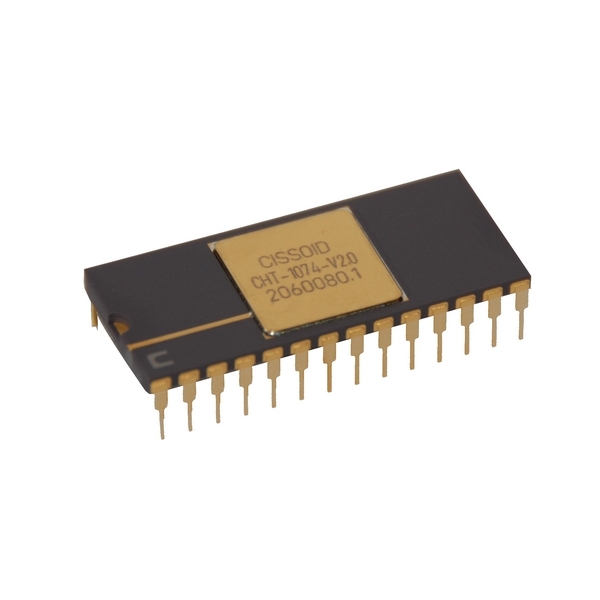 The CHT-ADC10 is a high-temperature, ultra-low-power, highly stable analog-to-digital converter. This successive approximation ADC is based on an R-2R network and features 10 bits of resolution and a strictly monotonic characteristic from -55°C up to +225°C. An optional internal clock generator is included to provide standalone operation. It includes Sample&Hold and µP interface with possibility of serial data transfer. The maximum sampling rate is 25kS/s.